Please check the Canada’s Immigration Website to see if you require a visa for entrance into Canada. A list of countries requiring visas are listed here, as are visa exempt countries. Authors, Speakers, Committee Members, and attendees requiring a visa assistance letter from the General Chair can send their request to Dr. Christian Schlegel (christian.schlegel@dal.ca). For visa assistance letters from the IEEE ComSoc, please complete a ComSoc Visa Assistance Request. There are three different shuttles that make almost hourly trips from Calgary Airport to the town of Banff. Rates vary between $50 and $55 (one direction). It is best to make a reservation ahead of time. 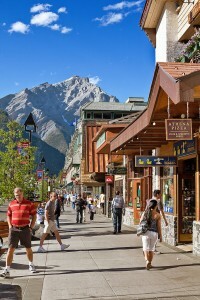 Shuttle Companies: Banff Shuttle Bus, Brewster Shuttle, or the Banff Airporter. If you are traveling via Banff Airporter, WONS 2013 has a discounted rate of 15% ($49 one-way, $98 round trip). When booking, refer to our promotional code: wireless.